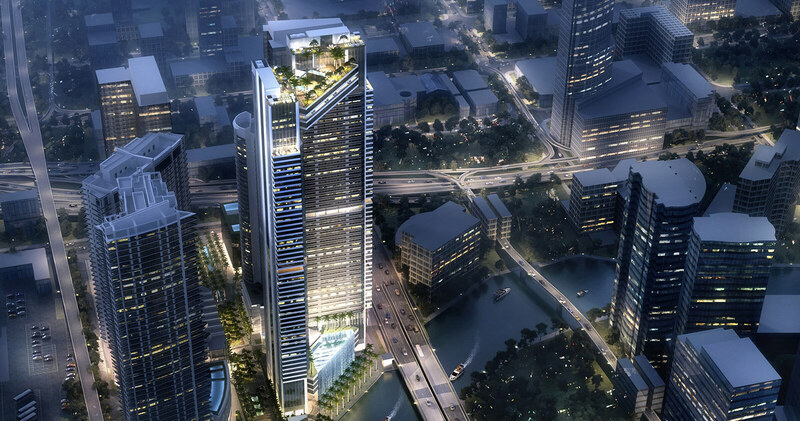 One River Point brings Viñoly’s concept of architecture as a dramatic performance to life. 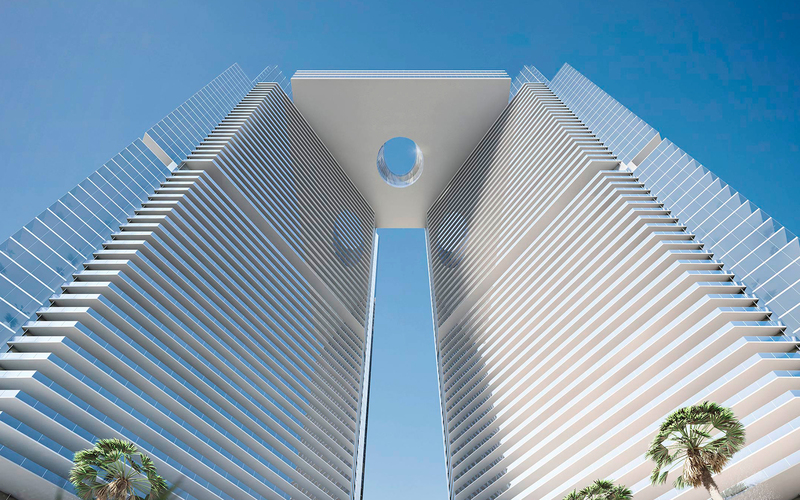 Two soaring symmetrical towers join in a stunning glass Sky Bridge 800 feet above the Miami River. Affording unrivaled vistas of the river, Downtown, bay and ocean beyond, it achieves a unique synthesis of art and nature in one standout architectural statement. Riverside Park. Residential resort. Exclusive club. Dramatic Sky-Bridge. Each element delivers a distinctive living experience. Combined, they create a truly unique destination. 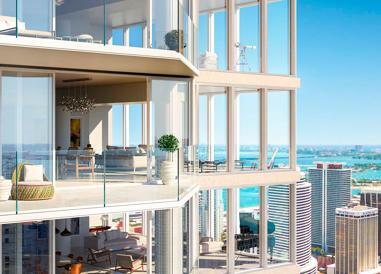 Two 60-story luxury condo towers with spectacular views of the Miami River, Biscayne Bay and the vibrant Miami skyline. Situated on nearly 2 acres of a private beautifully landscaped park on the Miami River. Fully integrated smart home and building system. Two residential grand lobbies staffed 24 hours a day. 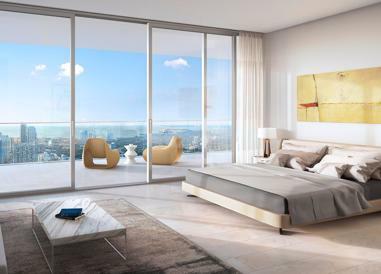 350 custom-designed residences. Ultra-luxurious Penthouses, Sky Lofts and Sky Villas ranging from 5,000 to 14,000 square feet with expansive terraces and private pools. 327 feet of prime Downtown Miami River frontage. Boat docking services. Sculpture garden. Riverfront Pet Park. 516 automated parking spaces and valet services. 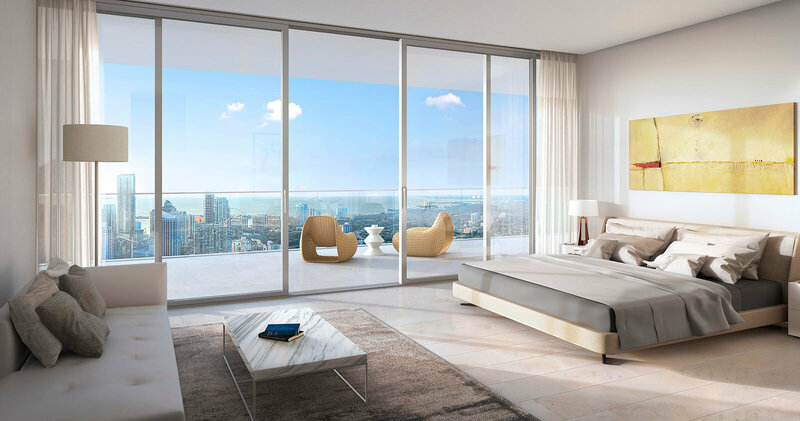 Expansive layouts with floor-to-ceiling glass walls. 12-foot-deep glass-enclosed outdoor living terraces with stunning views. Honed stone flooring throughout indoor and outdoor living areas. Spa-like bathrooms with walk-in rain showers and free-floating soaking tubs. Designated art wall with customized task lighting. Multi-zone climate control integrated with smart home technology. Private elevators and entry foyers. 10'-12’ + ceilings. 4-story floating podium with cascading waterfall (85 feet down) on the Miami River. 8,000-square-foot signature restaurant and lounge with a privileged waterfront location on the Miami River promenade. 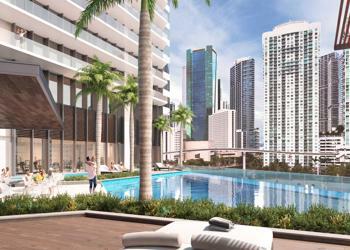 Infinity-edge, resort-style pool and 75-foot lap pool topping off the lusciously landscaped floating podium. Poolside café and restaurant with exclusive butler services. Exclusive poolside cabanas. Kid’s indoor and outdoor activity areas. Full-service med spa and indoor and outdoor wellness center with private treatment rooms. 6,000-square-foot fitness center managed by The Wright Fit. Personalized white-glove concierge services. In-residence dining and spa services. On-site central vault. 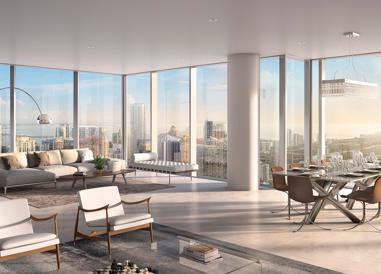 35,000-square-foot exclusive members-only club linking the 2 condo towers via a floating glass skybridge. Private glass elevators from ground level to club level. Pre-approved membership opportunities for residents. Three levels of club amenities including a 10,000-square-foot sky bridge club garden and terrace with spectacular views. Club suites for guests of members. Fine-dining restaurant, craft cocktail bar and cigar lounge. Chef’s kitchen, wine cellar and tasting room. Public and private dining rooms. Theater and media room. Library and lounge. Fully-equipped business center with conference and meeting rooms. 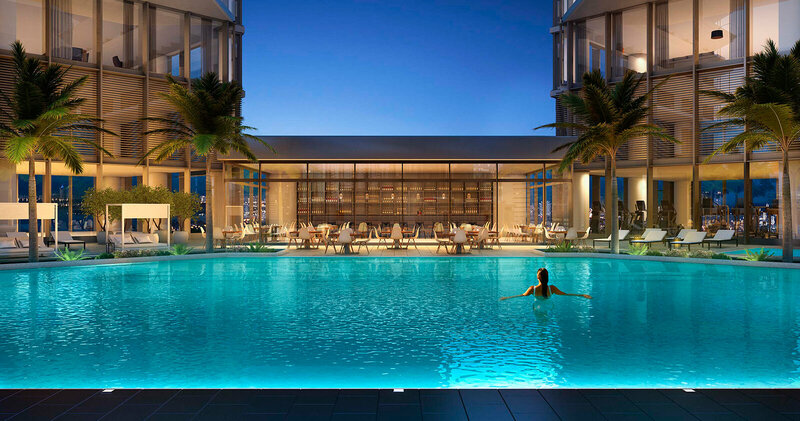 Incredible pool of 75 feet with a landscaped floating podium for an extra touch of luxury and distinction. Set within the signature glass Sky-Bridge, the club and amenities are the crowning pinnacle of this extraordinary building. 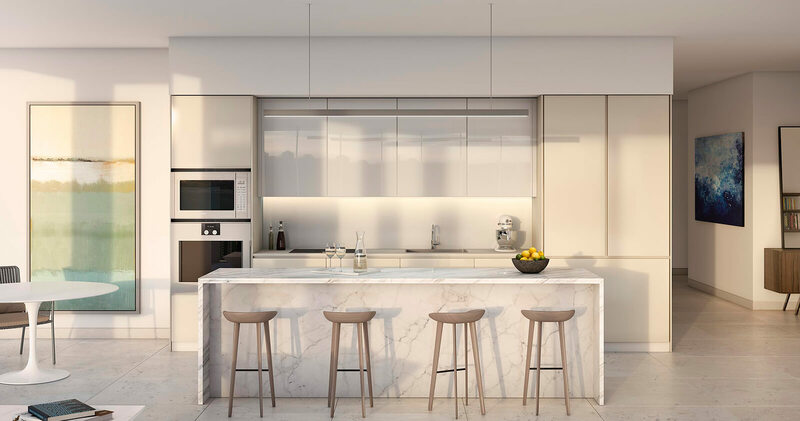 Combining a daring architectural statement, with spaces and services superbly curated by Adrian Zecha, the singular fusion of place and privilege makes this exclusive and intimate three-level glass suite unlike anything you will ever experience. Maintain your healthy lifestyle at the state-of-the-art fitness center. Designed, installed and managed by The Wright Fit, industry-leaders in progressive-lifestyle design, the fitness center boasts 6,000 square feet of cutting-edge equipment, superlative facilities and the most innovative expertise just an elevator ride away from home. Enjoy of an exquisite meal or a good coffee in the mornings at our poolside cafe and restaurants. 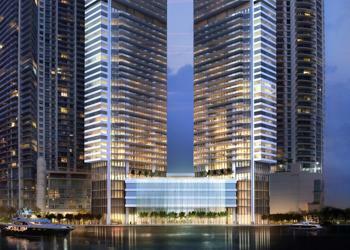 Rango Sq Ft: 914 - 4000 Sq. Ft.